SoftPlanet makes it possible for everyone to get free Switch Sound File Converter download directly from our servers. There is no registration needed for downloading. Once in a while we all need a different file type than what we have. Most popular audio formats available for download are not compatible with the formats supported by modern portable devices. If you have a bunch of files that you want to convert into another format you need a reliable application which you can trust. 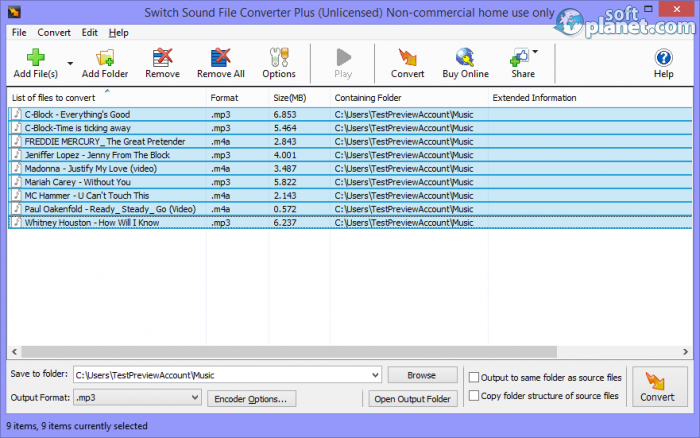 Today we present Switch Sound File Converter 4.79 to you which is a very versatile audio converter that supports more than 40 audio formats. You can download this app for free and give it a try. Switch Sound File Converter supports the majority of the audio formats that all electronic devices use today. MP3, WMA, M4A, OGG, ACC, WAV are only some of the many supported formats that this software can convert to. All existing music tags will be preserved during the conversion if the audio format supports tags. 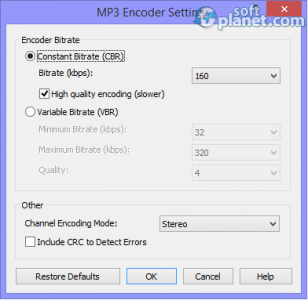 Besides audio files this program is capable of converting playlists as well. On top of that you can extract audio from DVDs and video files in any of the supported audio formats. 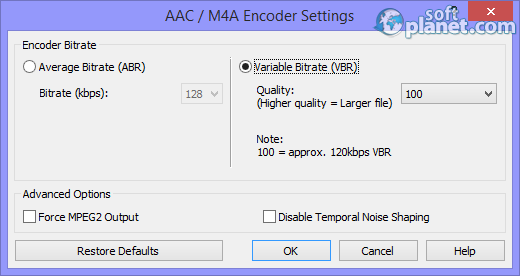 As you may think batch conversion is supported and all encoders necessary for the conversions are included. Switch Sound File Converter has a very simple and at the same time nicely looking user interface. The menus and the icons are on top and everything looks like it is in its place. 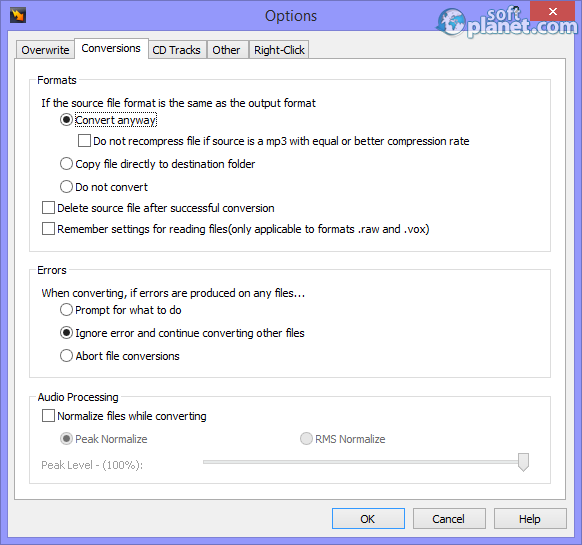 The conversion settings like a destination folder, an output format and encoder options are located at the bottom and are visible to the user all the time. The list with the added files is shown in the middle and you can select only one, some or all of the listed items. The Convert button triggers the conversion process and after a while you can observe the progress of the converted files. Once you use Switch Sound File Converter you will know almost everything about it. In case you need extra program information you can find it on the developer's website because the application does not come with such. In addition to all conversion features users can also convert audio streams and normalize the track volume during the conversion process. Our final words about Switch Sound File Converter 4.79 are very good. This program is compatible with Windows XP, Vista, 7 and 8 and at the same time there is a Mac OS X version too. This can only expand the possible number of users that can enjoy the power of the application and the quality of its output files. 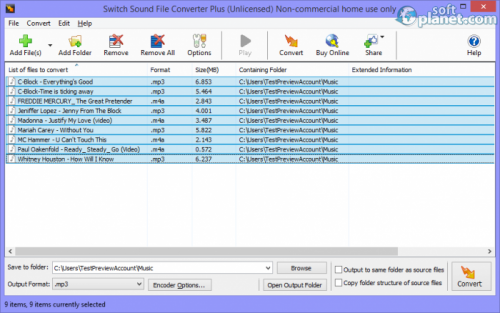 Switch Sound File Converter is VIRUS-FREE! Our security scan shows that Switch Sound File Converter is clean from viruses. The current version of Switch Sound File Converter has been scanned by our system, which contains 46 different anti-virus algorithms. That ensures that Switch Sound File Converter 4.79 is 100% safe for your computer.